Best. Christmas. Present. Ever. I’m still reeling. I haven’t been this excited to read a book since my mum bought me Harry Potter and the Deathly Hallows to read on our holiday in Cornwall when I was thirteen. Winter satisfies and fulfils and goes beyond all my hopes and expectations for the series’ conclusion- with its peaks and falls of Meyer’s now trademark comedy and suspense, the novel is utterly enthralling. Many of her references to the original Grimm fairy-tales were so cunningly subtle they crept up on me. There were some that I didn’t even catch on to until I had a post-reading discussion with a friend, meaning that this is a book which I know I can go back to, time and time again, and appreciate something new. Despite its totally, and literally, out-of-this-world settings and centuries-old concept everything about the story is fresh, authentic and believable. Meyer’s extensive research and knowledge of the stories’ origins and various accounts is evident yet not overbearing as she carefully and enchantingly interweaves character plotlines to create an almost soap opera style setup. I was joyfully surprised at the genuine sense of peril I felt as a reader on behalf of the characters. Knowing the traditional tale in no way lessens our experience or enjoyment. Winter is over eight hundred pages of glorious tension and suspense and I am still struggling to come to terms with the fact that the series has come to a close. 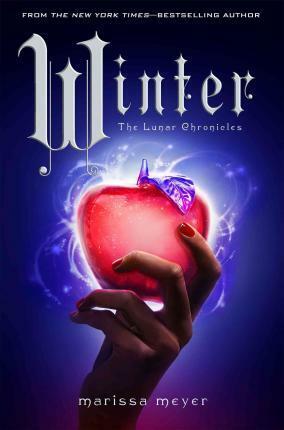 That’s not to say that Winter is not a satisfying conclusion to The Lunar Chronicles (it most certainly is), but after waiting for almost two years for this grand finale, the absence of anticipation is a strange sensation for Lunar fans.